You can make an amazing difference at Samaritans helping to support people around the UK and Ireland when they need someone to talk to or they are going through a difficult time in their life. We welcome and value every volunteer, from all walks of life. 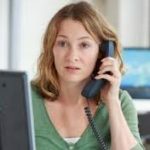 We are known for the support we offer our callers on the phone but we also offer support by email, SMS, face to face and through written correspondence. Helping Samaritans in this way is known as a listening volunteer. As well as supporting people who need emotional support, our volunteers undertake outreach in the community, fundraise, and take on administrative roles, all of which are vital to ensure that the service remains available round the clock, every day of the year. Whatever your interests, experience or skills, we have a role for you, and we will train, mentor and support you in whatever role you choose to do.